Before Alexander Graham Bell made that first, historic telephone call in 1876, the telegraph was the fastest way to communicate long distance, but it had its limits. Bell channeled his interest in speech and music into experiments that led to a ground-breaking invention. The first telephone worked because Bell understood the science of sound and, with the help of an engineer named Thomas Watson, had the determination to improve the way the world communicates. Inventor: Developed the first rudimentary metal detector; issued a United States patent for the telephone in 1876; invented the photophone in 1880, which transmitted sound on a beam of light and is the precursor to fiber optics. 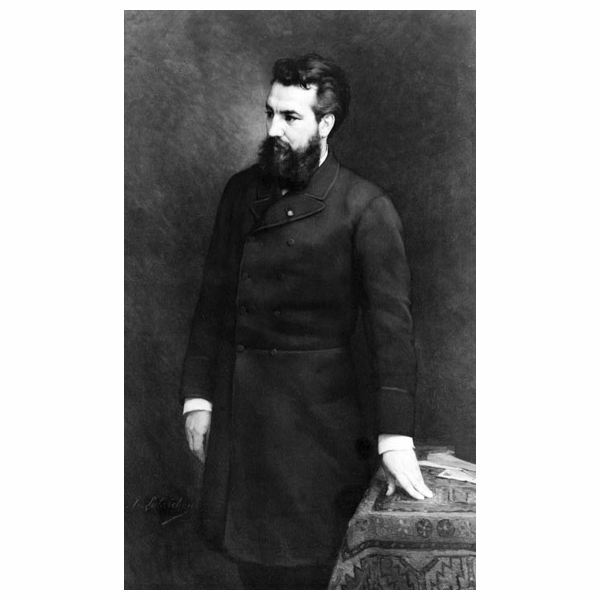 Alexander Graham Bell’s interest in speech stemmed from his mother’s hearing impairment. Eliza Bell, a talented pianist, was deaf. Bell learned to lean in close to her forehead when he spoke to her, believing that she could “hear” if she could feel the vibrations of his voice. Also an excellent piano player, Bell began to teach music and elocution, or formal speech, at the age of 16. In 1865, Bell combined his interest in speech and music by experimenting with vowel sounds and tuning forks, instruments typically used for tuning instruments. Realizing that sound can be transmitted by metal led him to wonder if speech could be transmitted over wire. These questions about how sound is transmitted and heard led him to work with the deaf. He accepted a position to teach at the Boston School for Deaf Mutes in 1871 and in 1873. Boston University named him Professor of Vocal Physiology and Elocution. The following year, Bell conducted experiments on acoustics at the Massachusetts Institute of Technology, working with a local ear specialist on the study of the human ear and the phonautograph, a machine that translated sound into drawings. In the summer of 1874, Bell met a young electrician, Thomas Watson, and drew his first sketches of a device that could transmit speech over wire: the telephone. Bell invented the telephone while trying to improve the telegraph, which was limited to sending one message at a time. Bell believed that multiple messages could be sent over a wire if the sounds had a different pitch, which is how the ear responds to the frequency of the sound waves. In October 1874, Bell was working on his “harmonic telegraphic” when he received financial backing from Boston attorney Gardiner Greene Hubbard, who was also Bell’s future father-in-law. Bell, Hubbard and Thomas Sanders, the wealthy father of one of Bell’s former students, formed the Bell Telephone Company, which led to the development of the American Telephone and Telegraph Company – AT&T. By June 1875, Bell and Watson proved that the strength of an electrical current over a wire could vary depending on the tone of the sounds. They just needed to build a transmitter that could send varying electronic currents and a receiver that could reproduce the variations in frequencies. 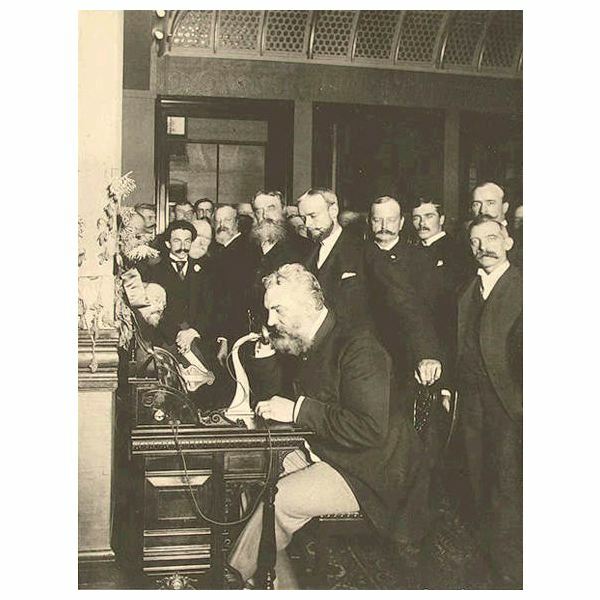 The first telephone call occurred on March 10, 1876. Bell and Watson were in their Boston lab in separate rooms. Bell spoke into the mouthpiece of his new invention and said, “Watson, come here. I want to see you." They switched places and Watson read from a book while Bell listened. The words were not clear and crisp, but it was the end of the telegraph and the beginning of the telephone. The first long distance call occurred in 1892 when Bell called Chicago from New York. The price for a long distance call was $9 for the first five minutes. Bell did not stop with the telephone. In 1880 he invented the photophone, which transmitted sound on a beam of light and was the precursor to fiber optics, which revolutionized telecommunications in the 20th century. What would the world be like if Alexander Graham Bell had not invented the first ever telephone? Would he have even had an interest in the science of sound if his mother had not been hearing impaired? It is impossible to know the answers to these questions, but it is known that when Bell and Thomas Watson discovered how the first telephone worked, communication was revolutionized. The ability to speak and be heard instantly was not just a convenience, but allowed for the rapid exchange of information and ideas and was a significant reason for the growth of the United States that followed in the next century.